Open data is essential, but useless without context – that was the consensus at the local data session. 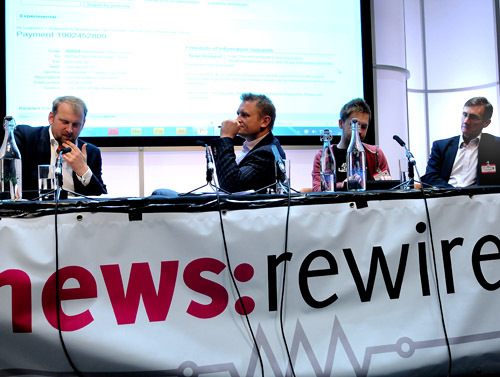 A lively debate took place, where delegates heard from a range of speakers and their attempts to fill the niche in local data, creating “open data cities” and encouraging transparency. Greg Hadfield of Cogapp cited three key elements that were required to create an open data city. “Data must be made available in a structured format, they must have a commitment to transparency and accountability, and be a city that thinks like the web,” he said. Hadfield also mentioned the Road Map for the Digital City, a project based in New York headed by Rachel Sterne intended to provide a comprehensive guide to make it the leading digital city. He also referenced his own experience in trying to transform Brighton into an open data city, saying the only organisations that wasn’t part of a conversation that included councils, NHS trusts and businesses were the traditional media. “Monolithic media is lacking in innovation, is organisationally dysfunctional, careless about readers, users and communities. “It’s guilty of continuous betrayals of trust at the expense of journalists, communities and shareholders,” he said. Philip John of the Lichfield Blog confirmed this view, saying that people who ran hyperlocal websites like his were often far more passionate about their local area than journalists who worked for local newspapers. The Lichfield Blog was born out of connecting to the community and creating something more in tune with the people who live there. “There is no point in having data unless you have context to go with it. If we’re talking about journalism, we’re trying to find a story,” he said. Chris Taggart of Openly Local and Jonathan Carr-West of the Local Government Information Unit both touched on the idea of not confusing technology with innovation. “What matters is not the technology or the tools, but the uses that you put them to. This is the new emphasis on openness,” said Carr-West. He spoke about finding the right tool for the job, and not thinking there is a one-size fits all solution to finding and releasing data. Taggart has a background in magazine journalism but identified the lack of local data that was available on the web when he started his OpenlyLocal. 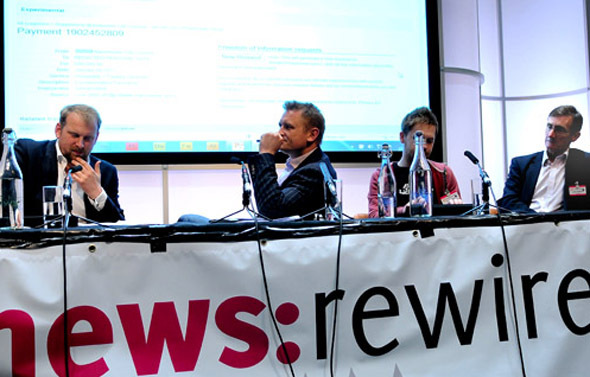 He spoke about the brilliant stories that journalists can find by digging in councils, and the new opportunities that open local data presented. “The information is out there, but we have a lack of resources and journalists. “The opportunity is out there, but we need people to chase it and follow it up,” he said.